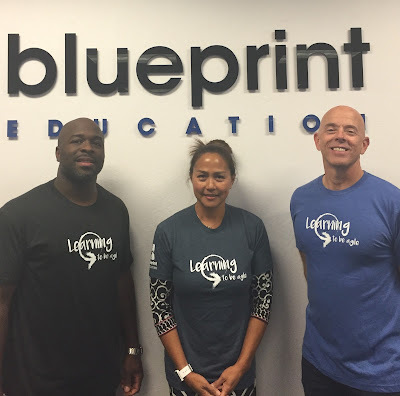 As some of you know, I have been volunteering for the amazing folks at Blueprint Education. They are working to bring agile values and principles to education (at all levels.. not just students). Executives, Principals, Guidance counselors, Teachers, and Students are all learning to work in a team based, collaborative way. They are learning to learn together. I was there last year to participate in an awesome event where students volunteered to start Scrum teams to do community work and improve their school. A link to that post here. She (as part of a Scrum Team herself), had realized that what she needed to do was to empower her teachers to be responsible for themselves and make decisions on their own without a heavy handed approach from her. She could then focus her energies on coaching others, supporting students and helping other schools in their system out. The teachers are also using Scrum at the school level. Their Scrum board is visible to all their students. Imagine complete transparency for students as to what the teachers are doing! Then, imagine the accountability the teachers have to the students. "Mike, I am excited about this. I already talked with the teachers to make sure they were interested in having this level of responsibility and freedom instead of just telling them this was happening. I'm nervous but excited about this." WOW.. That's all I can say.. If you are an educator, imagine this level of empowerment and responsibility. Of course, the teachers (who are already learning about self-empowerment for themselves and to help their students), were of course pleased and excited. They learned Scrum so they could better facilitate it's use for Students. This way, everybody is on equal ground when it comes to learning and approach to learning (or work). Some of the Blueprint team will be presenting their progress at the Scrum Gathering 2016 in Orlando. If you are there, go by for a visit. I know that Mark French (the CEO) or any of the Principals, Guidance counselors, Teachers, and many of the students would be pleased to tell their story. To reach out to them, start here , or email them at agile@blueprinteducation.org to ask to hear more. I love what these educators are trying to seriously change the way education works and I am honoured to know them. I proudly wear my "Learning to be Agile" shirt they gave me during my last visit. If you would like to learn a bit more about the concepts of Agility in Education, someone shared this wonderful post with me today. It might give you some insight into where they are coming from. Please, reach out to the folks at Blueprint. They would be more than happy to share their amazing story! 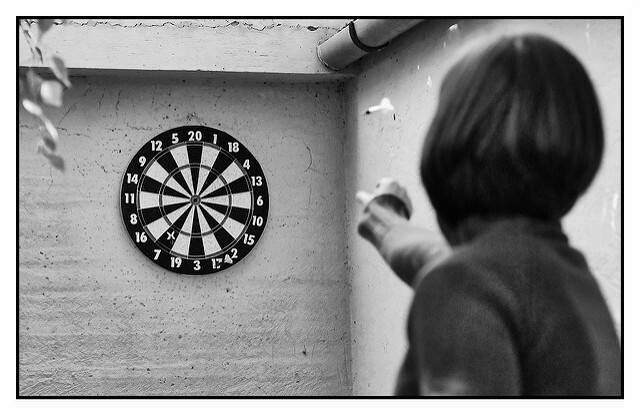 Is this your approach to selecting a delivery date for your project ?